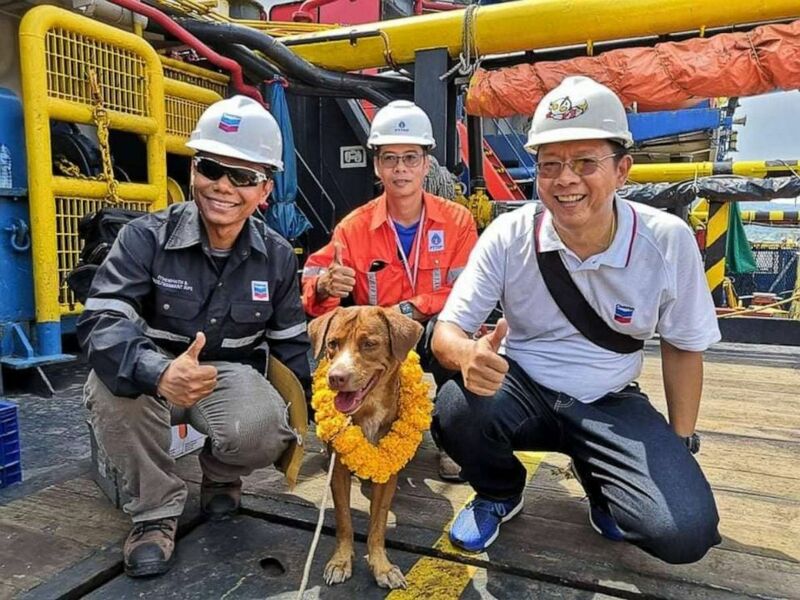 Workers from the Chevron Thailand Exploration and Production Ltd. oil rig rescued a dog swimming 137 miles offshore in the Gulf of Thailand on Friday. Payalaw wrote that the dog did not make a noise while he cling to the pole and that the workers raced to tie a rope around his neck so he wouldn't be swept away by waves, according to the Bangkok Post. He looked "exhausted" but the workers gave him water and fed him some mineral supplements, Payalaw wrote. 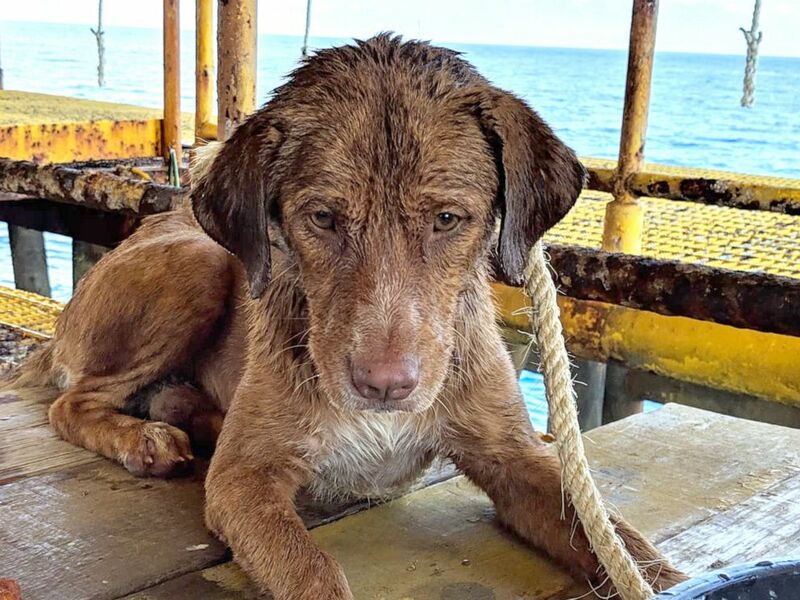 The oil rig workers named the dog Boonrod, which translates to "the dog rescued by merit." 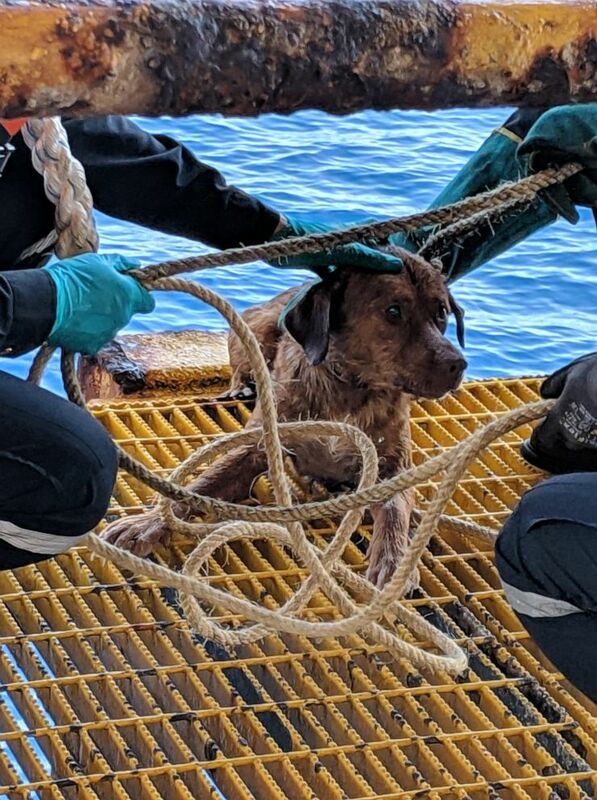 PHOTO:Workers from the Chevron Thailand Exploration and Production Ltd. oil rig rescued a dog swimming 137 miles offshore in the Gulf of Thailand, April 12, 2019.